It didn’t fully hit me until the moment I stepped onstage. 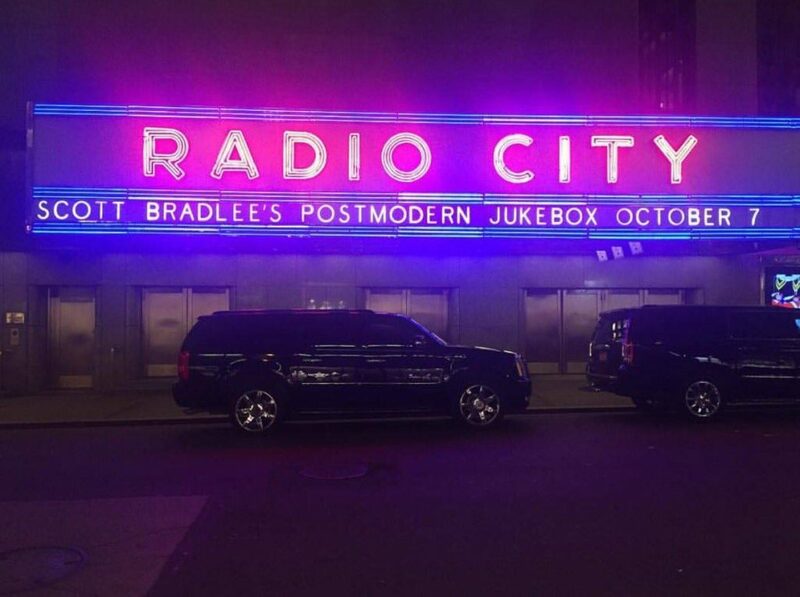 I had seen the famous marquee outside in person earlier that day, and had been receiving snapshots on Twitter from excited New Yorkers for about a month. But, I had been feeling oddly detached about the whole thing. After all, the cast was in the middle of a tour and I had a billion and one things to get done. I don’t allow myself too much time for reflection as a rule, and this was no exception. Or so I thought. 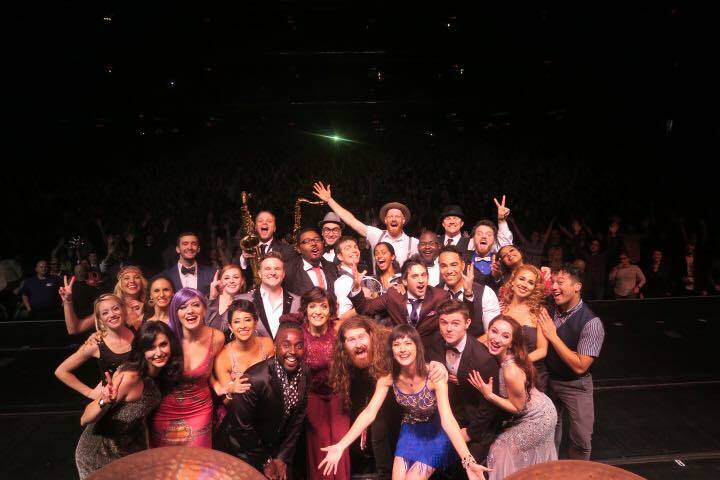 The show was, of course, our biggest Postmodern Jukebox concert yet, both in audience size and cast size. 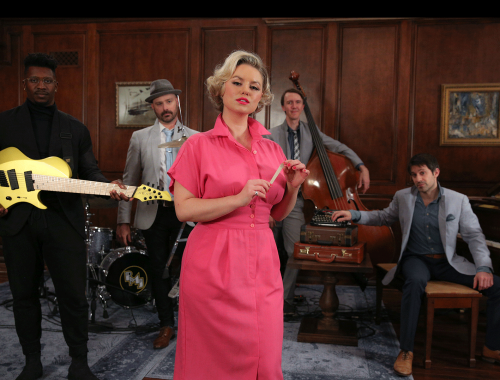 Being in New York City -where this project was born and where I lived for 7 years- meant that the show was something of a “This Is Your Life” for PMJ, as cast members both old and new caught up with one another backstage and shared their incredible talents onstage. I watched the show from the wings, but the stage was too big to see the audience; from my vantage point, it looked like we were playing a PMJ show in a black hole. Stepping on that stage in front of thousands midway through the show, everything changed. I looked out and saw the faces of so many people – people that were now on their feet – people that were strangers to me, but that I recognized, in a strange sort of way. 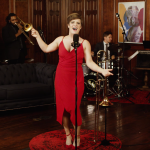 My mind flashed back to the early days of Postmodern Jukebox, when I was filming videos out of a small basement apartment in Queens, duct taping a camera to a mismatched tripod and paying musicians in falafel sandwiches. It wasn’t a glamorous operation, and there weren’t any promoters or industry professionals interested in what I was doing. What kept me going were the messages from a few people all over the world that saw the possibilities of this project and believed in the importance of a place for real, live music in an industry that was becoming more image-driven and inauthentic by the day. 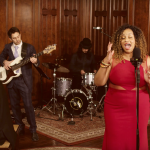 In time, these messages of support grew in number, as people told their friends and family about that crazy group of musicians that were turning today’s radio hits into Golden Oldies in a living room somewhere. Our group of performers grew. It was becoming a movement. Back on stage, I was regretting my decision to not prepare a speech; I think I mostly just said, “Wow!” (My advice to anyone that finds themselves in a similar situation: ALWAYS prepare a speech, you’ll look way more classy that way.) 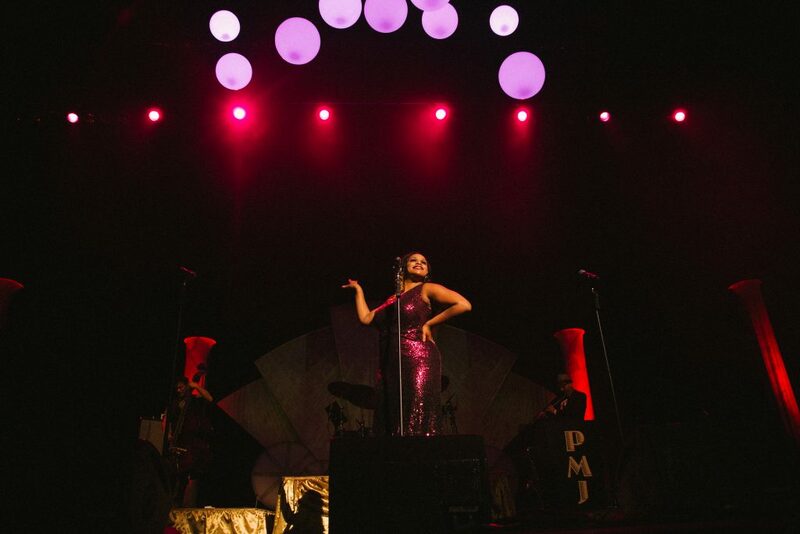 But, my thoughts as I looked out at the crowd were about all of those messages of support that I received over the years leading up to this moment, and how this crowd of strangers weren’t really strangers at all; they were the people that helped build Postmodern Jukebox into what it is today. They were the people that gave our collective of talented vocalists, musicians, and dancers a stage and told them, we’re here for you. 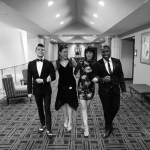 They were the people that saw a better life for performers than waiting tables or busking on the street, and then found a way to make that life happen us all. 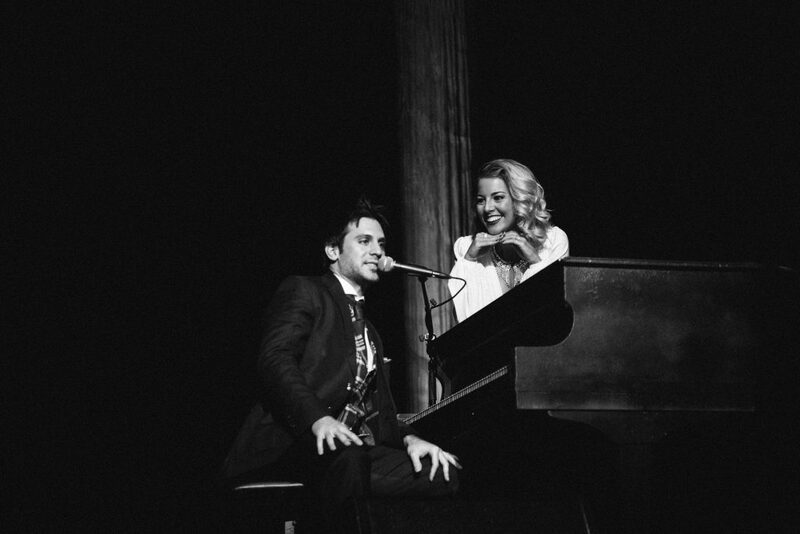 Morgan James sneaks up on me before performing “Take Me To Church.” All photos by Braverijah Gregg. In the days leading up to the Radio City show, I made a lot of cocky jokes about being a rockstar (hey, I’m only human, and from New Jersey at that). It also felt good knowing that this was happening in spite of all the people that told me that it wasn’t possible over the years- no sense in pretending otherwise. 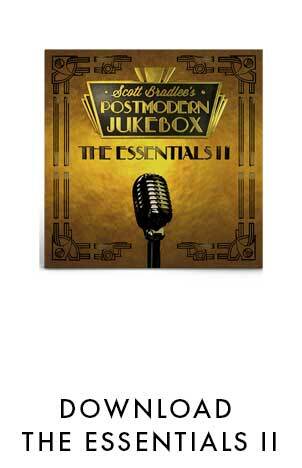 But truth be told, Postmodern Jukebox has never been about me; it’s much bigger than that. 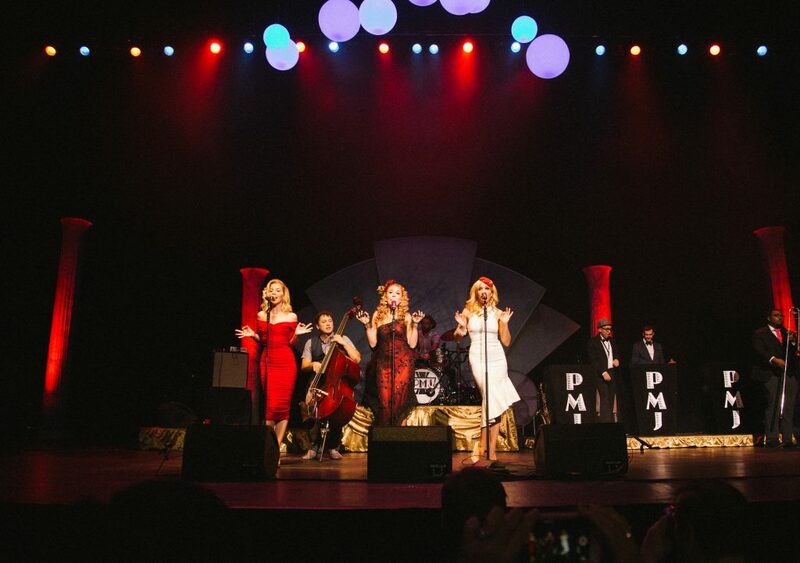 From all the incredible performers that have shared their gifts on our videos and tours over the years, to all the crew that helped put together these shows night after night, to all the fans that have gotten involved to spread the word about PMJ when radio and TV wasn’t – we have an incredible community spanning multiple cultures and generations that has come together for one single goal: to celebrate real, authentic musical talent. For this, I am eternally grateful, and I don’t take this responsibility entrusted to me lightly. We’ve come a long way from that basement in Queens. Now, let’s build a tradition to last for generations to come. We’ve got work to do. 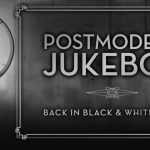 Postmodern Jukebox is back…. Back in Black & White! North American Fall Tour Presale Begins Today!